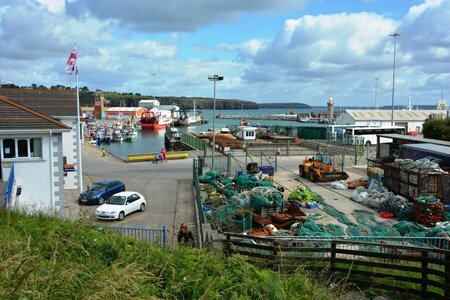 Our Dunmore East cruise port guide gives you information about the docking location, cruise dock, transportation options and much more! Welcome to the Dunmore East cruise port guide. In the South East region of Ireland is where we find Dunmore East. A peaceful small place with about 1600 inhabitants. This fishing village is a gem to explore with its quaint streets, thatched roofs and beautiful Irish coastline. 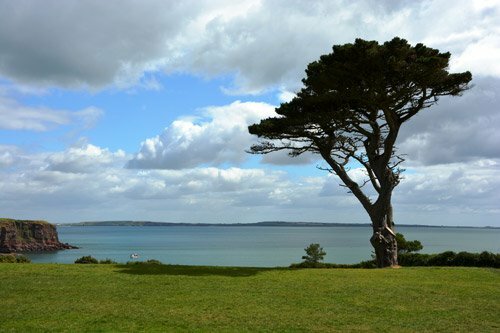 You will find the impressive St. Andrews church, flower gardens and tiny beaches here side by side and therefore it is perfect for a leisurely walk. Do realize Dunmore East is rather small and going further afield is a good idea to get a better impression on what Ireland has to offer. Within short driving distance you can reach the old viking city of Waterford, visit the medieval capital Kilkenny or explore scenic Inistioge. This is the small fishing port where you will arrive by tender. Your ship will be at anchor at open sea and with their small tender boats they will drop you off here. Often the local company will provide a shuttle service going into Waterford. You can find wi-fi on Convent Rd. 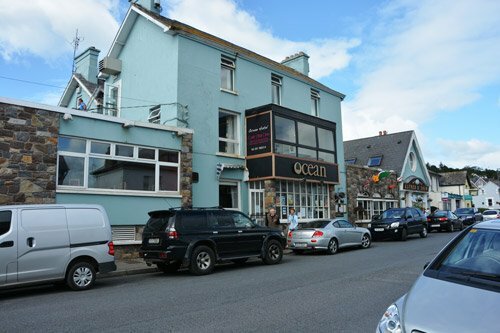 This is the main street of Dunmore East. You automatically walk onto it as you exit the small harbour. Find wi-fi at the Ocean hotel. Surrounding the village of Dunmore East you can find the typical Irish coastlines. You can spot them from the ship and from the city centre. If you are up for a hike. Why not turn left as you exit the small harbor where you land and just follow the coastline. This is a scenic hike that we can recommend for you. There is no option for cruise ships to dock in Dunmore East and therefore this is a tender port. The ship will take its small life/tender boats and take you to shore in them. They drop you off in the port of Dunmore East. See a picture of the small harbour to the left. 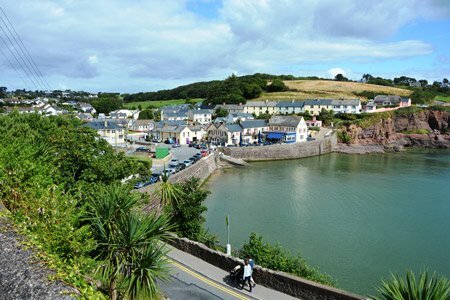 Here you can easily walk to the small town of Dunmore East or start a hike along the beautiful coastline. Going a bit further afield takes a bit more effort. The port has limited facilities. Sometimes the tourist information comes on board or will be waiting for you on the pier. Other than that you will find the taxis and public transport at the pier. At the port you can expect a limited amount of taxis that are willing to show you around for the day. The official taxis all have a different colour although they are often white or black with green. They also have meter. Be sure to negotiate on a price before you step in. Usually the local bus company Suirway will provide a shuttle service to Waterford. 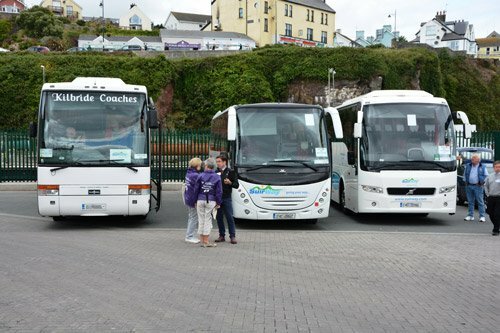 They come to the pier to offer cruise guests a service into Waterford for about 10 euro per person both ways. They often share the schedule and price with the ship a few days in advance and therefore it is best to check on board what their plan is for your specific call. There are some beautiful hikes you can make in the area of Dunmore East. Simple rule: -Left: at the harbour, turn left on the main road and follow the coastline for a scenic walk on the dramatic Irish coastline. -Right: at the harbour, turn right on the main road to walk through the town and into the woods. About 1 km walk to the east from the small harbour where you arrive you will find a scenic bay with some restaurants, beaches and gardens surrounding it. This is the heart of the town. This town has a special character and is known for being a historical city. Visit this town in the beautiful Irish hills and admire its beautiful squares and scenic 18th century bridge. St. Andrews church is the beautiful church you will find in the city centre of Dunmore East. This lovely church has a burial attached to it with its typical celtic crosses. This is the typical picture of Ireland and yet it seems like Dunmore East is one of the few places where you can still find these lovely houses. Back in the days there used to be 100.000’s of these type of roofs. Nowadays you can only find them in a few places. About a century ago people switched to tiled roofs when it became available although they were more expensive. Nowadays it is more expensive to have thatched roof, but it is making a come back. Find them all over Dunmore East.